Often referred to as a “necessary evil”, shop drawings are diagrams, illustrations and schedules prepared by or for a contractor to show how a specific piece of the project will be installed or designed. Shop drawings are used in construction projects to provide details about individual components for certain items of work not fully detailed in the project plan and which may require additional drawings and coordination prior to construction. Shop drawings must go through a review and approval process to ensure that they are accurate and consistent with the contract documents. A design professional cannot produce plans covering every detail of every project component. Many times, the architect or engineer merely creates an overall design concept, leaving the specifics to contractors who should be more intimately familiar with job conditions. Additionally, each component requires specialized knowledge, and contractors with expertise in particular areas are best suited to lay out such details. Finally, submitting shop drawings allows the contractor and design professional to make sure they are on the same page and to identify potential issues before ordering and installing materials. Failure to review and approve drawings in a timely fashion. 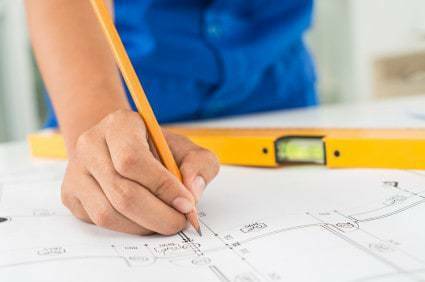 The general contractor has primary responsibility to review and approve shop drawings to ensure: drawings conform to design specifications, quantities and measurements are accurate, and each component fits with other components of the project. Even if the design professional reviews the drawings, the contractor remains liable for errors or omissions. As one industry expert explained, the design professional reviews for “conceptual compliance – not to order materials or to give assembly instructions or coordinate subcontractors.” Architects review shop drawings, while contractors approve.